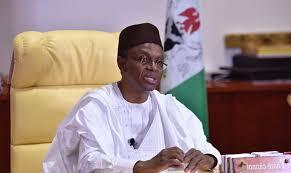 All Progressives Congress (APC) in Kaduna State has nullified the suspension of Governor Nasir El-Rufai by another faction of the party in the state. The Senator Suleiman Hunkuyi-led faction of the party had earlier suspended the governor, but another faction supporting the governor describe the Hunkuyi-led faction as illegitimate. The party said the suspension of the governor is laughable and should be disregarded. This came in the wake of a pronouncement by the APC that sales of forms for party primaries ahead of the Kaduna State local government elections slated for May 12, will commence this week. Acting Secretary of the party, Yahaya Baba Pate, who briefed newsmen on the outcome of the State Exeucitve Council said the meeting adopted the recommendations of the SEC on the local government elections and commended the ongoing registration of party members. Pate said the party is set to roll out the timetable in few days time, for the primaries ahead of the council elections. Reacting to the suspension of Governor El-Rufai by a faction of the party, the acting secretary said, the ‘so called’ chairman of the faction, Danladi Wada is an impostor, who lacks power to suspend any member of the party. According to him, “the authentic chairman of the party is Alhaji Shuaibu Idris. He is the chairman recognised by the national leadership of the party. Just last week, he received an invitation letter from the national secretariat, signed by the National Chairman, Chief Odigie Oyegun, inviting him for National Executive Committee meeting next week. “The Senator Hunkuyi-led group is illegitimate. As far as we are concerned, most of them have been expelled including the so called factional chairman, Danladi Wada. As for Senator Hunkuyi, he is under six months suspension, because we cannot expel him. Only the national leadership can expel him, because he is a political office holder.” he said. In another development, the Federal Government is engaging 100,000 agents under the Community Health Influencers, Promoters and Services (CHIPS) program. This is in order to reduce high rate of maternal and child mortality in the country. Executive Director, National Primary Health Care Development Agency, Faisal Shuaib made the disclosure during an interview with newsmen shortly after the first meeting with Northern Traditional Leaders Committee on Primary Health Care Delivery in Kaduna yesterday. CHIPS is a community-based programme whereby individuals with basic criteria including commitment, agility, will be selected by traditional institution to carry out basic medical needs of the people in their communities, diagnose and call on the next point of call when necessary. They must be residing within the community and would be adequately trained before deployment to render the services the programme is targeted. According to him, the development became necessary because Nigeria was losing about one million women and children to preventable medical conditions. “The gathering of the northern traditional committee on PHC here today is to review what we were able to achieve in 2017 and strategise for high priority intervention in our communities this year. This means going back to the basis, the community to engage the traditional institution knowing full well that we cannot have meaningful progress as regard to provision of healthcare services to our people without listening to them.